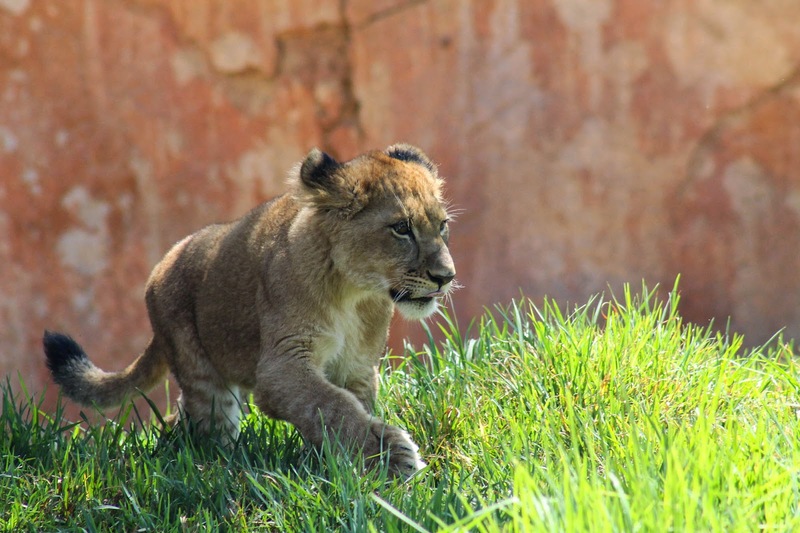 What a difference three months makes in the life of a lion cub. 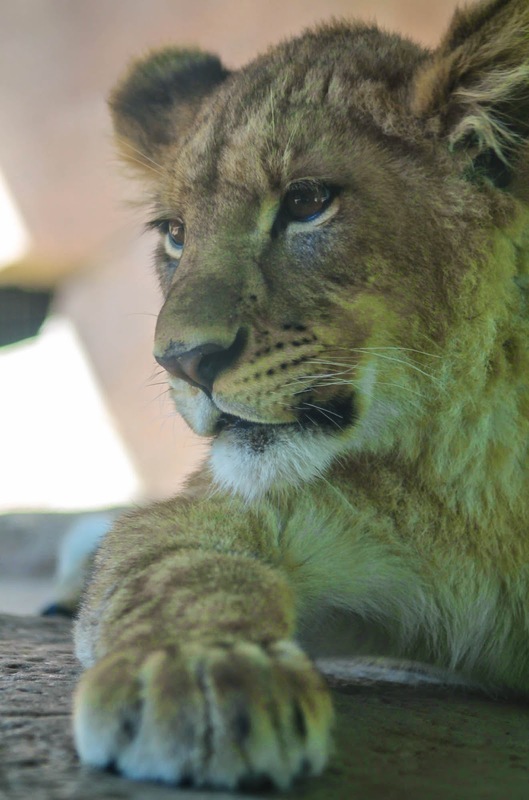 Although I have seen Ken and Dixie a few times since they left the nursery back in April, today was the first time I was able to photograph them outside at Lion Camp. Talk about growing up too fast, wow. These two have gotten so big in just a few months, I mean take a look at those paws! Born on December 6, Ken and Dixie will be 7 months old next week. 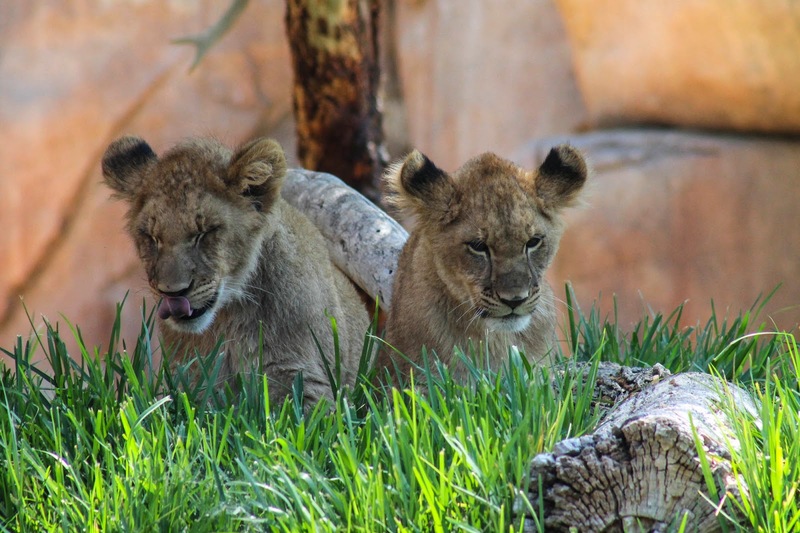 The cubs take turns enjoying the grassy slopes of Lion Camp with their parents Izu and Oshana. 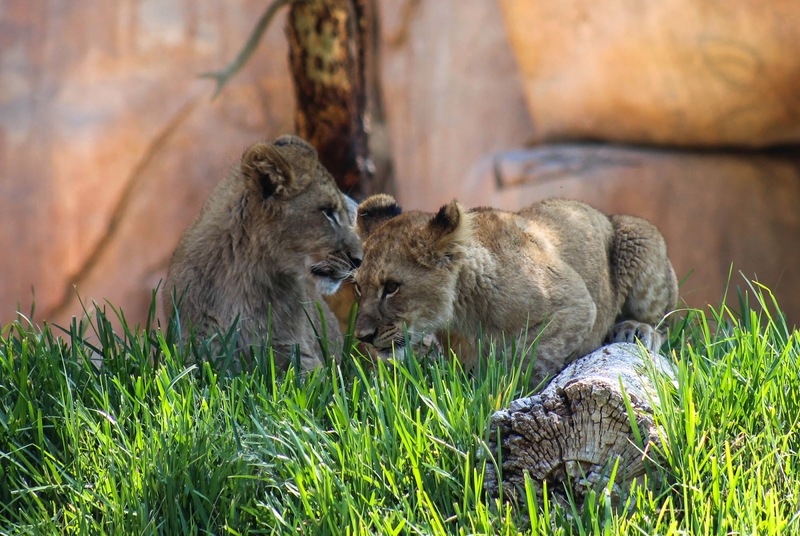 I love that Dylan and I have the opportunity to visit the San Diego Zoo Safari Park on a regular basis to watch them grow up and become adult lions. 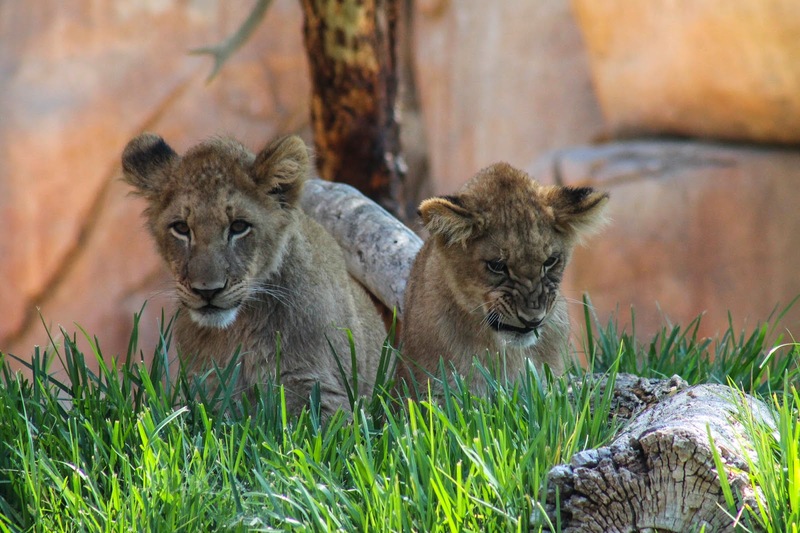 Ken and Dixie are just like your average toddlers - well, except that they are lions and not humans. When it comes to taking pictures, you have a 50-50 chance of them cooperating. Typical brother and sister, one is always making funny faces. Uh-oh, looks like Ken and Dixie are up to something. Whispering lion cubs are never a good sign. Yep, there he goes. So much for taking a family portrait today. I look forward to spending some late summer nights watching these two frolic at Lion Camp during Summer Safari. More pictures of Ken and Dixie on Flickr.